Well organised and very scenic routes. Quality of audio guide was very good too. 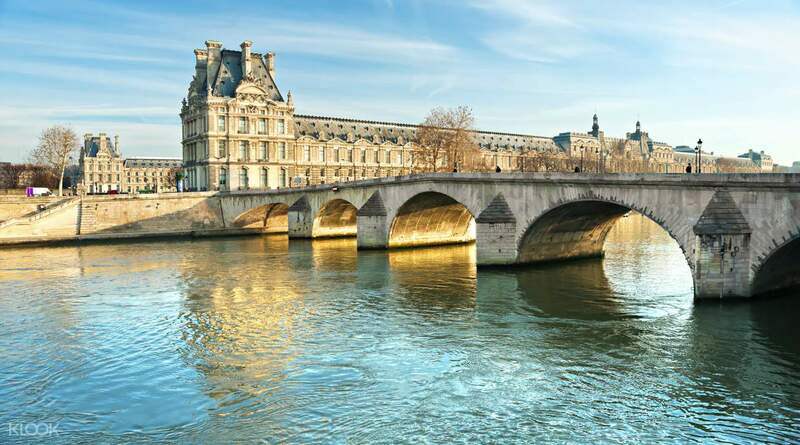 Begin your tour by meeting your guide in a central location before embarking on a scenic 1.5 hour drive through the city’s grand avenues and elegant streets, bursting with Parisian charm. 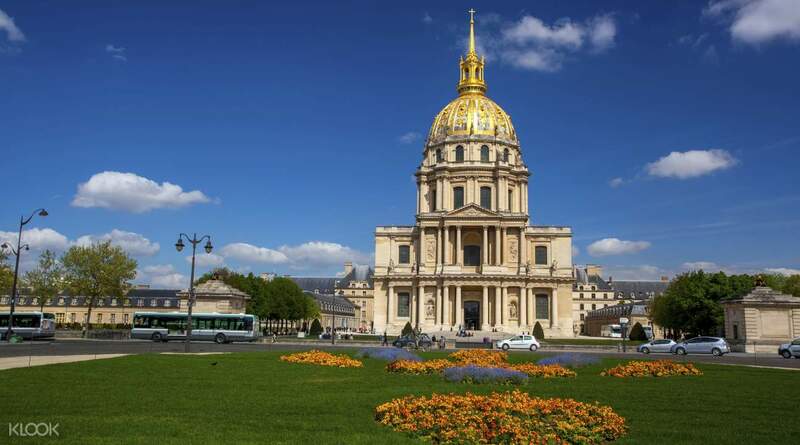 Pass by world-famous landmarks like the Louvre Museum, Arc de Triomphe, the lavish Opera House, and gold-domed Les Invalides from the comfort of an air-conditioned coach. Before boarding the panoramic glass-roofed boat, stop by the Eiffel Tower for an unforgettable photo opportunity. Then, sit back and relax as you glide through the heart of Paris and are captivated by the breathtaking sites that line the Seine. 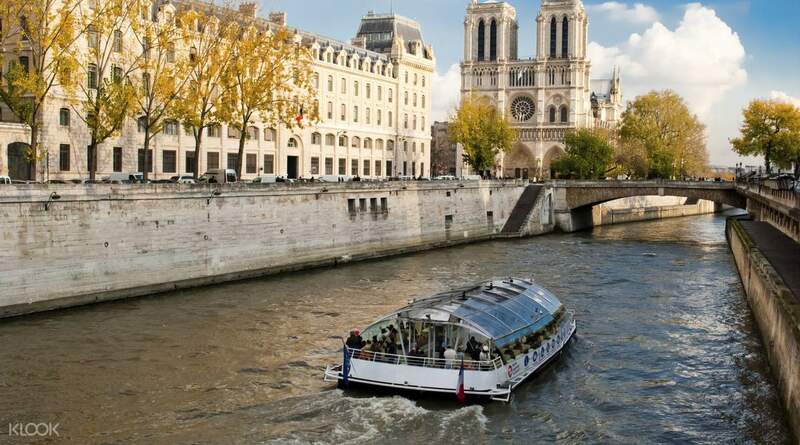 Pass under ornate bridges and cruise past Notre Dame, all whilst listening to the fascinating audio-guided commentary and atmospheric music as you float along. 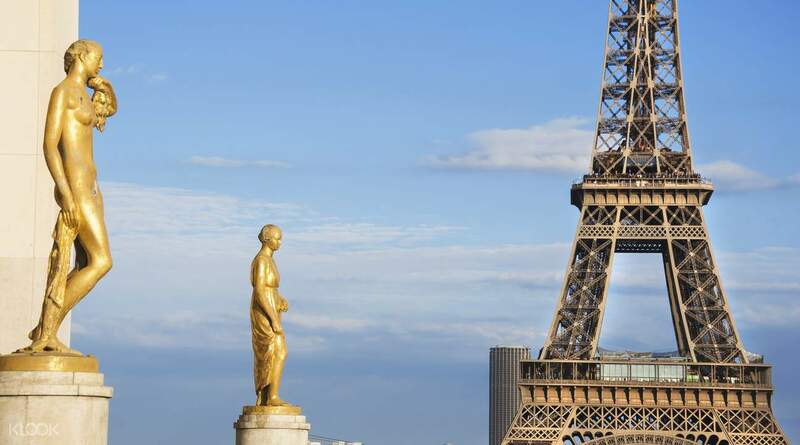 Finish your tour back at the Eiffel Tower and to round off your sightseeing experience, why not combine with skip-the-line tickets to the Tower itself and soar to the top of Paris's most famous landmark! Stop by at the Eiffel Tower and take some memorable photos with the long-standing symbol of Paris itself! Think this is overpriced. Can book big bus tour with a cruise at Euro 50 for 2 days. This bus only brings you for a city tour, not the hop on and off whereby can utilise to move around all the main attractions. If you book this, pls be mindful that the Paris City Vision in google maps is the old location but the new office is not far from the old office. (Need to gather at the office to board the bus) Would not recommend this unless the big bus tour is fully booked. The big bus tour can be booked on the spot in Paris. Think this is overpriced. Can book big bus tour with a cruise at Euro 50 for 2 days. This bus only brings you for a city tour, not the hop on and off whereby can utilise to move around all the main attractions. If you book this, pls be mindful that the Paris City Vision in google maps is the old location but the new office is not far from the old office. (Need to gather at the office to board the bus) Would not recommend this unless the big bus tour is fully booked. The big bus tour can be booked on the spot in Paris. love the cruize. Perfect. Best experiences in Paris. love the cruize. Perfect. Best experiences in Paris. The bus is entirely sheltered so it is good in case of rain or snow. There may be slightly longer period of pause in between commentary while the bus makes its way around. River cruise is by a different operator, you will just be given the ticket to board. Commentary is also available. The bus is entirely sheltered so it is good in case of rain or snow. There may be slightly longer period of pause in between commentary while the bus makes its way around. River cruise is by a different operator, you will just be given the ticket to board. Commentary is also available. It was fun but not the most exciting. Still enjoyable! It was fun but not the most exciting. Still enjoyable! It was really good. I couldn't have visited so many places if not for this tour in such a short time. It was really good. I couldn't have visited so many places if not for this tour in such a short time. Amazing experienced. Love it definitely do it soon with my kids. Amazing experienced. Love it definitely do it soon with my kids. Really enjoyed this one!! Best to wait til you are first in line so you get dibs on the best seat. Would be nice if it had a free drink and snack but overall for the price it’s not so bad. Really enjoyed this one!! Best to wait til you are first in line so you get dibs on the best seat. Would be nice if it had a free drink and snack but overall for the price it’s not so bad.